Jason Winter studied at Laine Theatre Arts. His theatre credits include Chicago (Cambridge Theatre), Flashdance (UK tour), 42nd Street (Chichester Festival), Cats (German tour), Top Hat (UK tour) and Gypsy (The Curve Theatre, Leicester) to name a few. His next job will take him to the land of Oz. 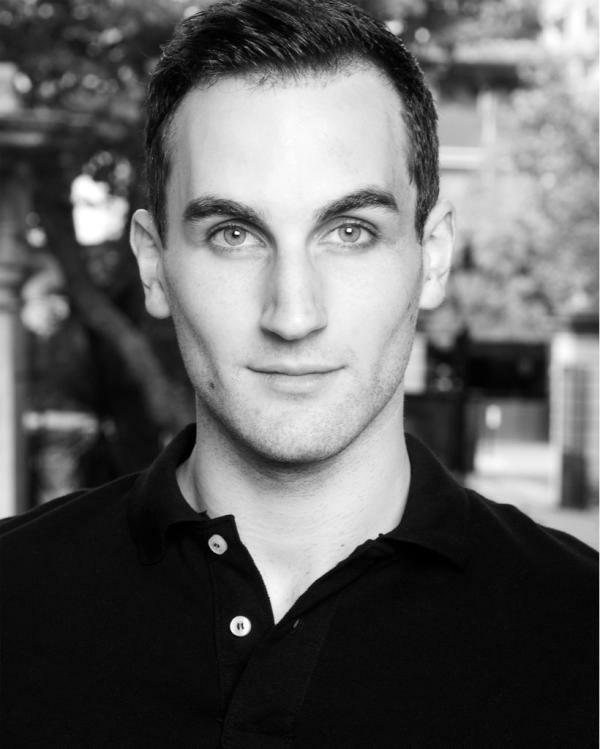 You can catch Jason on stage in Wicked at the Apollo Victoria Theatre from 29th October. The first role I ever played was Peter Pan, which I did when I was 15. Before that all I ever wanted to do was to be in the ensemble and dance. I hated singing and I hated the thought of speaking on my own on stage. Randomly at about 13 or 14 I started singing (around the house and with my brother etc) and realised that I actually enjoyed it, and it wasn’t as dreadful as I’d previously thought, so I started to embrace the idea of parts. And when Peter Pan was coming up at my local theatre I jumped at the chance, mainly because i wanted to fly, and I was lucky enough to get the part. It was a great first experience at a lead and gave me the thirst I have today to play parts. My main inspiration was my Mum. She was the one who started me dancing and supported me the whole way. Without her I wouldn’t be either the performer or the person I am today. Other than that the usual dance icons: Bob Fosse, Gene Kelly and Fred Astaire. I was obsessed with any musical video I could get my hands on and from as early as I can remember spent afternoons copying their dance moves. What was the first show (play or musical) you saw on stage? And out of all shows you’ve seen which ones are your favourites? The first professional show I ever saw on stage was Grease at the Dominion Theatre, and I have to say honestly….I hated it. I still remember leaving the theatre and feeling so upset that I hadn’t enjoyed it. I was only 7. I guess being brought up on the old classic MGM musical movies had made me a bit of a theatre snob. Luckily not long after this my parents took me to see Les Mis at the Birmingham Hippodrome. Despite their reservations at the show maybe being a little bit too heavy for a 7-year-old I sat motionless, glued to the action on stage and sobbed through the entire show, even refusing to get up at the interval for an ice cream out of fear I’d miss something. I always say that Les Mis restored my faith in theatre and is the reason I wanted to be a performer from that day on. Stagey child!! So I guess I’d have to say Les Mis was one of my favourite shows. Also on my top list are Cats, Saturday Night Fever and Wicked. For about 2 weeks at the age of 15 I decided I didn’t want to perform and for some reason wanted to be a physiotherapist. Apart from that theatre is all I’ve ever wanted to do for a job. If I had to choose another job it’d be something with animals… maybe a zoo keeper?! I don’t think I can choose just one favourite role because I’ve been so lucky in my career so far but I can give a top 3. Firstly going on for my cover of Jerry Travers in Top Hat was amazing. It was a massive role to play and my first experience of being a professional leading man. The audience reaction was such a buzz and I got to play opposite the beautiful Miss Summer Strallen, who is a great friend of mine, so that was such an honour. Secondly being in Cats was a dream come true. I’d wanted to be in the show for as long as I could remember so just to be a part of it was amazing, let alone getting to play four different characters. Lastly Tulsa in Gypsy has to be the pinnacle of my career to date. It was the first time I wasn’t a cover… the part was mine! It was such a new and exciting thing for me to get to find and develop my own character. I was on cloud 9 every day of that contract and felt like I grew so much as a performer on the job. Again I got to work with an amazing cast and played opposite the beautiful Miss Victoria Hamilton-Barritt which was just incredible. I was so spoilt with the feedback I got from audience members and reviews and I know it will always be a job I cherish and remember forever. Dream role… hmmm… can I narrow it down to 3 again? In case you hadn’t realised I’m extremely indecisive. My dream roles would have to be Bert in Mary Poppins, Tarzan (in Tarzan obviously) and Fiyero in Wicked. I’d love to work with Mia Micheals. She is my favourite choreographer, her work is so different and theatrical. I can’t watch it without wanting to get up and join in. I’ll listen to pretty much anything to be honest. My iPod is pretty stagey, musicals galore, but also Pop, 80’s Rock, Motown, R&B, Jazz… whatever really. The last thing I brought was an EP by my friends band Parnell Page called Porcelain Moon. Rude people. Manners don’t cost anything and it doesn’t hurt to be polite to people. That really frustrates me. Also rain… haha. I’d have to probably say my brother James should play me in a movie of my life. He knows me the best and would make sure the movie made me look good… haha. Although he’d have to take a few dance classes before filming unless we can hire a body double for the dance scenes. Thank you Jason for taking the time to answer all those questions! For more info about Wicked and to book tickets go to http://www.wickedthemusical.co.uk/. To find out more about West End Bares visit http://www.madtrust.org.uk/west-end-bares.php.